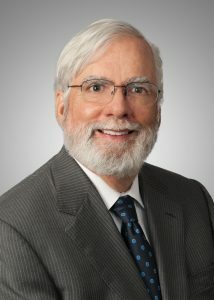 The most interesting presentation at the Annual AIPLA Meeting – which is not yet over – was Professor Christopher M. Holman’s talk – “Deconstructing the myth that 20% of the human genome is patented” which was based on his paper in IP Theory, Vol.2, 1 (2011). The “20%” number originated from a single paper, K Jensen and F. Murray, Science 310, 239 (2005)(“The Study”), and has been cited in a number of the briefs by AMP and others attempting to invalidate the Myriad BRCA1/2 patents. However, the authors only searched for patents having claims that recited human DNA SEQ ID NOS or DNA encoding a human protein having SEQ ID NO: X. You might expect this to produce a lot of false positives, and it did. Holman analyzed the claims of 533 of the 4270 “gene patents” that the Study included in its “20%” estimate, and grouped them into three categories. Category I were patents with claims deemed irrelevant to genetic testing. These included claims to GMOs, chimeric genes and fusion proteins and recombinant vaccines, for example. About 144 patents fell into this category. Category II included patents with claims to isolated human DNA of SEQ ID NO: X. These patents included those claiming cDNA as well as genomic DNA. Holman felt that most of these patents would not impede genetic testing since it would normally not be necessary to isolate the target gene sequence. Of course whole genome sequencing would not require the isolation and purification of individual genes. Most of these patents related to the use of cDNA for protein production. Three hundred sixty-six patents were assigned to this category, although there was some overlap with Category III. Category III patents did contain claims to methods of testing that might be infringed by Myriad-type claims to identifying mutations of interest in personalized medicine. However, only 48 patents fell into this category (!) and only 12 claim the detection of genetic variation by “any means.” (21 of the patents also had Category II claims.) Holman explains, how, even if valid, such claims could be avoided, e.g., by getting your genome sequenced abroad, “importing” the data, and having it read by your U.S. physician. Also, other “gene patents” had lapsed, are about to expire or recite outmoded detection or sequencing methodologies. So the next time someone tries to sell the idea that personalized medicine is hopelessly mired by patent thickets, refer them to this post – or keep a copy of Holman’s timely article close at hand. This entry was posted in Patent Eligible Subject Matter and tagged AIPLA, DNA, patents, Professor Christopher M. Holman, Warren Woessner. Bookmark the permalink.